Owning a home can be one of the more satisfying investments in a person’s life, but for seniors aging in place and/or individuals with disabilities, a standard home can be far from livable and enjoyable. It’s important to make sure that the home environment for those with disabilities provides the support they need to lead a safe and happy life. After all, a home is only really a home if it brings comfort and enjoyment to all who live there. Here we will address two of the most important rooms of the house, the bathroom and the kitchen. The bathroom can be a dangerous place for anyone – in fact, the CDC reported that each year about 235,000 people ages 15 and over visit the emergency room due to a bathroom-related injury. That means that as a person with a disability, attempting to use a bathroom that doesn’t accommodate your needs can be extremely risky. Remodeling the bathroom not only alleviates a majority of the safety risks but also allows as much privacy and independence as possible. Install a sink that is higher than a normal install and has an open bottom. This allows for the ability to roll straight up to the sink rather than having to reach or stretch over. 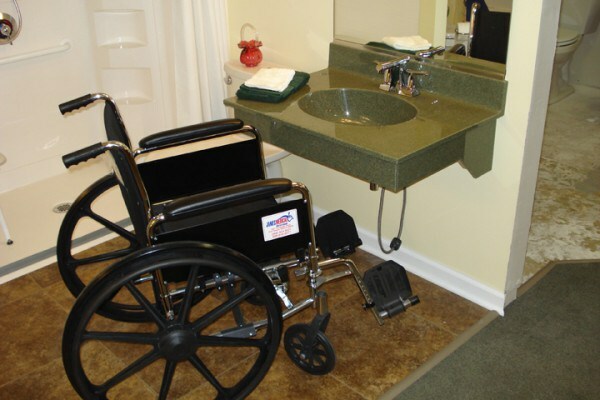 Also install a taller toilet for more ease and less distance traveled when transferring between the toilet and a wheelchair, or sitting down and standing up. Grab bars on either side of the toilet, or a toilet seat with bars already installed, will give additional stability when trying to stand up or sit down. 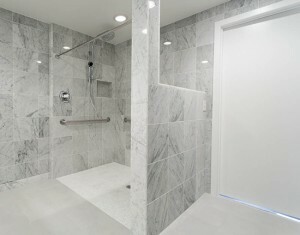 A “zero threshold shower” is great idea to eliminate trip hazards when trying to bathe. If your bathroom doesn’t have enough room to build this type of shower, there are cheaper alternatives that can still make a huge difference. 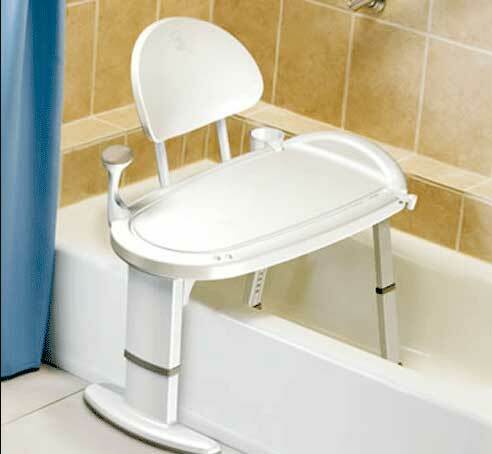 A shower bench will allow you to sit down from outside the bathtub and slide over into the shower without having to stand up. 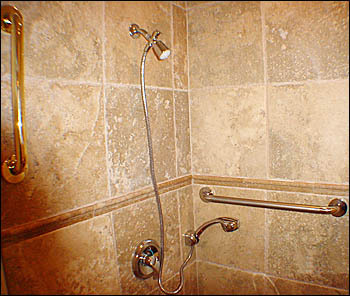 Grab bars around the shower fixture and shower walls provide additional support. Install a held-hand shower head for additional ease. Whether you enjoy cooking or not, making lunch or dinner is something we take for granted. Small kitchens and out of reach appliances often make this impossible. There are lots of ways to make a kitchen more functional without making it look institutional. Design an open floor plan that works well for a family, and at the same time, offers plenty of space for a wheelchair to be moved around the room with ease. Here are some important tips to remember when creating a new kitchen with adaptive, unobtrusive features that make it comfortable for a person with disabilities and the rest of the family as well. 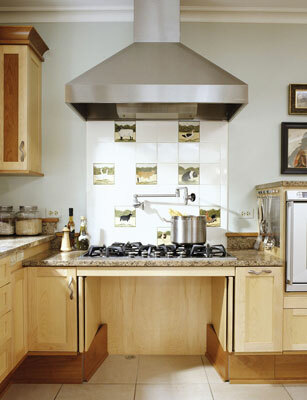 Open space below a lowered cook top accommodates a wheelchair, while custom cabinetry creates a sophisticated look. 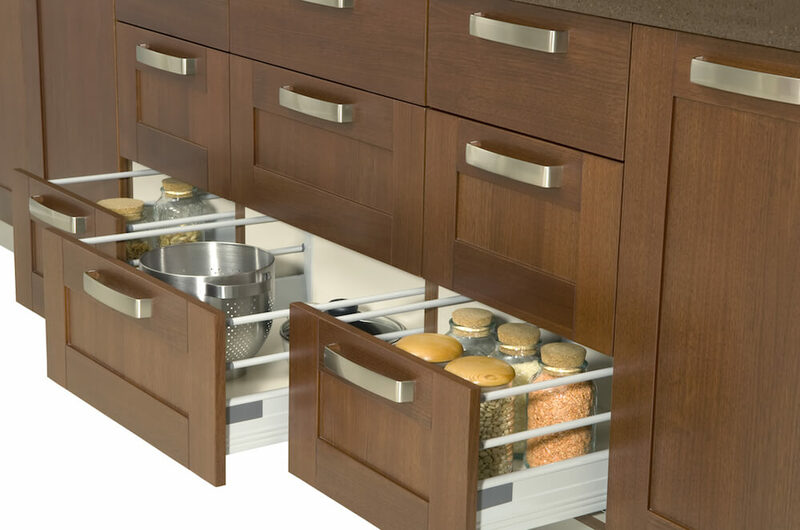 Installing drawers for cleaning supplies near the sink and cooking utensils near the stove will make these areas much easier to use. 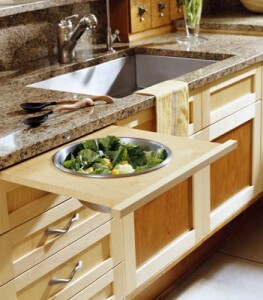 Install a pullout shelf near the sink, equipped with a space to hold a bowl. This will make it easier to toss salad or mix ingredients without having to steady the bowl. 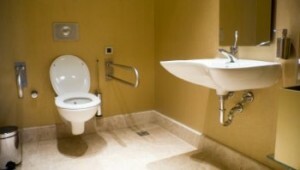 Install fixtures that are easier to grasp. Some examples of these are: single lever faucets, lever door handles, and cabinet pulls instead of knobs. Instead of having a fridge with a freezer on the top, opt for a side by side refrigerator that allows for easy access. Choose a range with staggered burners and front controls so there is no need to reach over open flames. Like the bathroom sink, leave the bottom of the kitchen sink open to allow for wheelchair access. Install a sink that is shallow and a pullout faucet. Applying these ideas to your home is a great start in turning tedious chores to moments of enjoyment for you and your family.